I just recorded an inspiring interview with Grammy-nominated contemporary/pop and rhythm and blues recording star – and Bank On Yourself client – Karyn White. Karyn was in her early 20’s when she became the first female artist to have her first three solo releases hit #1 on the R&B charts. She collaborated with industry legends including Babyface and L.A. Reid, before devoting herself full-time to raising a family. After an 18-year hiatus, and a fan base that never forgot her, Karyn decided to record again. Only this time she decided to produce her new CD album, Carpe Diem, herself – and pocket the profits the record companies used to make off of her. Karyn is a beautiful person both inside and out – and that really comes through in this interview, which we’ve made available in both audio and written format. 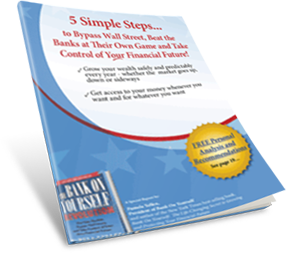 Would you like to find out how the Bank On Yourself method can position you to be able to “seize the day” and take advantage of opportunities that come your way… while growing a predictable, guaranteed retirement income? Request a FREE Analysis (if you haven’t already) to find out how a custom tailored Bank On Yourself plan can help you reach your long-term and short-term goals and dreams. You’ll also get a referral to one of only 200 Authorized Advisors, like the one Karyn works with, who can answer your questions and show you your options for maximizing the growth in your policy.